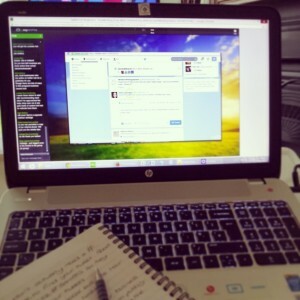 This morning I attended a webinar on getting the best out of Twitter, run by Helen and Emma of BANPAS (www.banpas.co.uk). I found it invaluable to learn marketing and networking strategies, most of which I had no idea about. I’ve been a Twitter user for quite a long time, but have only really ever used it to retweet people and look at the trending topics. As I’d just set up a new business account the webinar was perfectly timed for me! There were a few issues trying to listen in with my 3 year old son shouting in my ear and singing loudly, and a workman asking me questions about painting – but that’s another story!!! The joys of working from home! Other than those minor hiccups, I really learnt a lot and am looking forward to the follow-up advanced course next week.